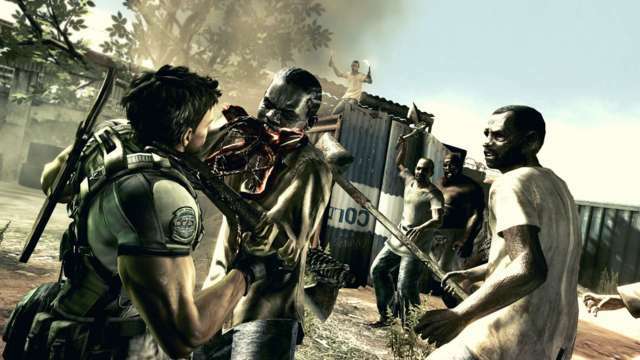 Resident Evil 5 has experienced a turbulent launch on current-gen hardware. Capcom’s survival horror title, which got the rerelease treatment to introduce the sequel to PS4 and Xbox One users late last month, is reportedly blighted by notable framerate dips, glitches and a technical issue that appears to be affecting the second player’s inventory screen. Acknowledging these technical hiccups, Capcom issued a response to GameSpot, stating that, “we are aware of the current performance issues and certain gameplay bugs and the team is currently looking into it.” No further details or a possible release window for the inevitable update were disclosed at this time. Early adopters including Reddit user Mightylordredbeard have revealed that these issues can be found across the Versus, Survivors and Team Survivors game modes. According to reports, these problems result in players inexplicably losing their primary weapons which, in the throes of a zombie apocalypse, isn’t exactly ideal. We’ll keep you updated as Capcom zeroes in on a solution. Resident Evil 5 shuffled on to PlayStation 4 and Xbox One late last month as part of Capcom’s overhaul of the franchise’s “second era.” That includes both Resident Evil 6 and Resident Evil 4, the latter of which recently nailed down an August 30 release date on current-gen hardware.